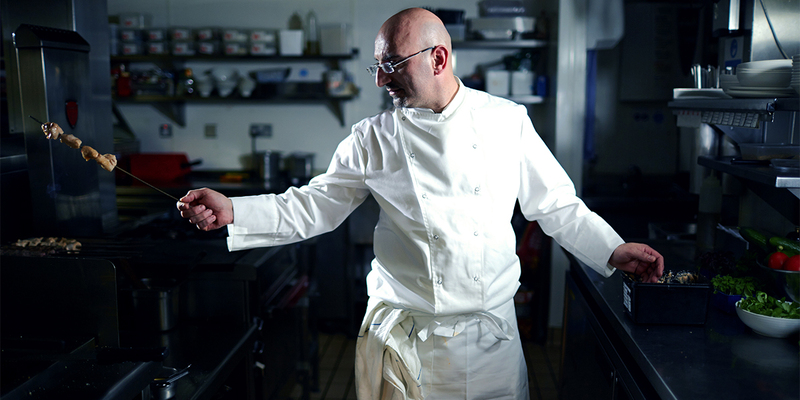 In the latest Les Ambassadeurs blog, we talk to Fadi, our amazing Arabic chef about where his love and passion of food comes from and the unique Lebanese traditions he brings to our world class kitchen. There were some detours along the way, some time spent as a mechanic and working with cars. I had to earn a living and survive, plus it was a very difficult time in Lebanon. 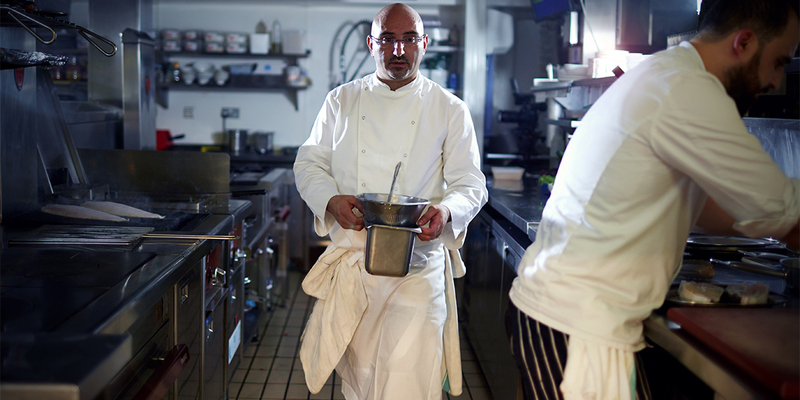 I was 19 when I moved from Beirut to London and having cooked as a hobby since I was a child, picking-up skills from my mother and grandma, I decided to pursue professional cooking as a career. I think it must have been about 1988, but it wasn't until 1992 when I took my first job in a London restaurant. 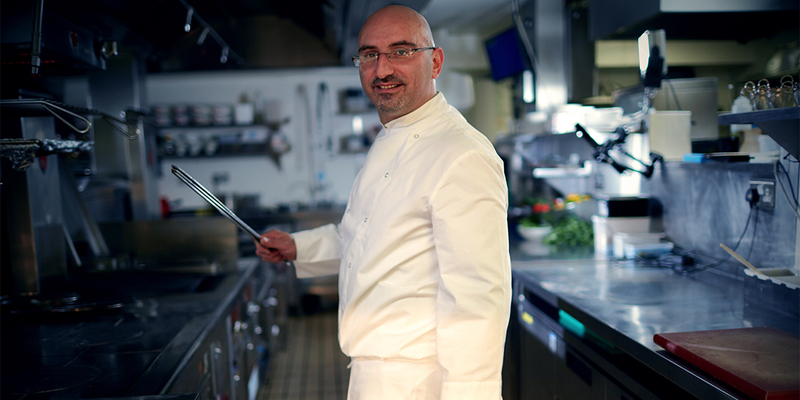 I worked in two restaurants: an Italian in north London and a Lebanese restaurant in west London. There wasn't really time for much else, and I worked days and nights cooking two very different cuisines. Lebanese food in London was completely different in the 90s to what it is now. There wasn't really much of it around. Samke Harra (spicy fish) featured on the menus, plus all of the variations of Lebanese mezze, but none of it was what you'd call true Lebanese. I eventually progressed to one of London's most famous hotel kitchens where I spent 12 years, before moving to Les Ambassadeurs. I knew that a casino kitchen was going to be a new challenge from the restaurant and hotel kitchens, however there is a freedom to be enjoyed from such an international kitchen, and I have access to first-class suppliers and ingredients. The Les A management allow me to express myself and I can be creative, although with the casino having a strong Lebanese membership, many of the members enjoy the classic Levantine dishes, food that has a memory of home. Grouper with Tripoli sauce or “Samkie Traboulsieh” as we call it in the kitchen is one of the most popular orders. It's also one of the most delicate dishes to create. The sauce needs to be just the right temperature, otherwise it will split and the dish is ruined. And there's Ayadieh (baked fish with rice), which is one of my favourite dishes. It's a Lebanese classic that I don't think will ever go out of fashion. Classic mezze is popular and we showcase a variety of different Levantine cuisines, particularly hummus, which is probably one of the most well known of Lebanese mezzes; alongside kebbeh, sambusac and tabbouleh. It's a very versatile dip, so we have hummus kawarma, spicy hummus and hummus with pine nuts. Lebanese food is about freshness and the careful balance of flavours. In Lebanon the food is largely dictated by the seasons and regions, so you'll have a lot of poultry and lamb eaten within the cities, fish along the coast of the Mediterranean and goat is more popular inland within the mountainous region. We need to be able to achieve all of the cuisines all year round, which is why my suppliers are so important. I have access to wild sea bass, fresh vine leaves and an array of eastern spices; key flavours and components for classic dishes such as Bamia (a Lebanese okra stew) and Mahshi Warak Areesh (stuffed vine leaves) with lamb cutlets, baby courgettes and aubergine. So much of what makes Lebanese food vibrant, flavoursome and full of aroma, comes from the different spices; such as: za'atar (like dried thyme), sesame seeds, sumac and black pepper. 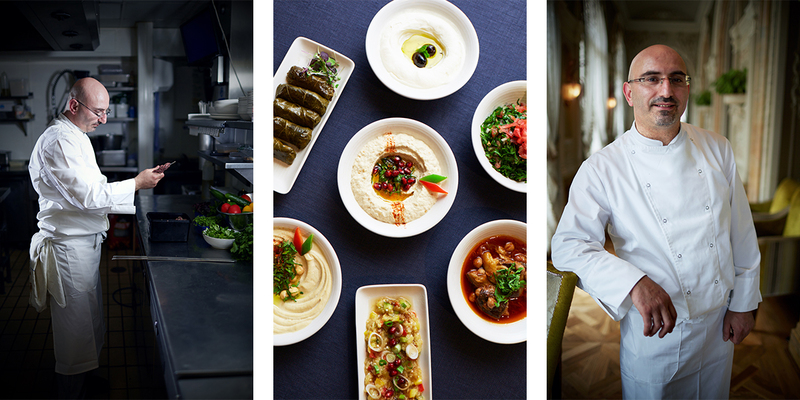 There are 160 mezze dishes, so it's a delicate process having to prep, create and present from such a diverse menu. Les Ambassadeurs customers are very specific. It is therefore important for me to have good face-to-face interaction with them, rather than hide myself away in the kitchen and just receive, cook and deliver orders. These are customers who eat here every day; some eat in the restaurant three times a day. The daily interaction with members means that I understand their culinary needs entirely, and they can trust me to produce exactly what it is they're looking for; call it bespoke-dining. Sometimes the club will receive an order from a member outside and a home delivery needs to be prepared and sent. There was one occasion when I received a request for a cooked baby lamb to be sent to a member's house. So, I found an appropriate sized lamb, cooked the lamb, marinating it and stuffing it with rice-and-nuts, and had it couriered to the member's house, just as requested. It's an unrivalled service, really, the above-and-beyond, that makes Les Ambassadeurs the world-class casino and restaurant it is. If you do not accept our policy, you will not be able to use the Les Ambassadeurs Casino website.